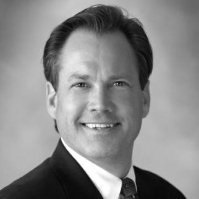 Doug Schaffnit is a Professional Planning Consultant™ and graduate of St. Ambrose University with a Bachelor of Arts Degree. He is licensed in both life and health insurance, and holds Series 7 and 63 registrations with LPL Financial and Series 65 registration with HighPoint Advisor Group. In addition, he is a fee-for-service Investment Advisor Representative of HighPoint Planning Partners. He has been specializing in financial and employee benefits consulting services since 1978. Doug is an active member in the community and member of the Morton Chamber of Commerce. He has also served on the Teens Encounter Christ Board for more than 10 years. He resides in Morton, Illinois with his wife, Cristi, and their two children, Kelly and Ryan. Doug and his wife are lifelong residents of the Peoria area.